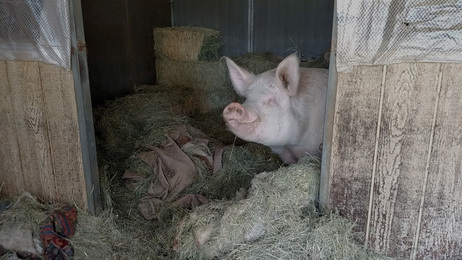 "Started in 2016, the Food Train supports pigs and other animals saved from laboratory research facilities. When we did our 2017 taxes we realized we have doubled in size! We here at the Food Train would like to thank you for your awareness, compassion, and support." ​These are two of our less fortunate friends, which we would like to support. They are Göttingen Mini Pigs and were actually breed for laboratory research! Now safe in the hands of sanctuary, they still have a long way to go in the spoiling! You Support, We Purchase the food and Transport it to them! I am Baby Banks, #Bikerpig and Spokespig for Kindness Awareness! Pigs are a handful and while social media gives us the "aww cute" factor, the truth is; I am only a good pet if your a Pig Person! When you don't do your homework, shelters fill up. 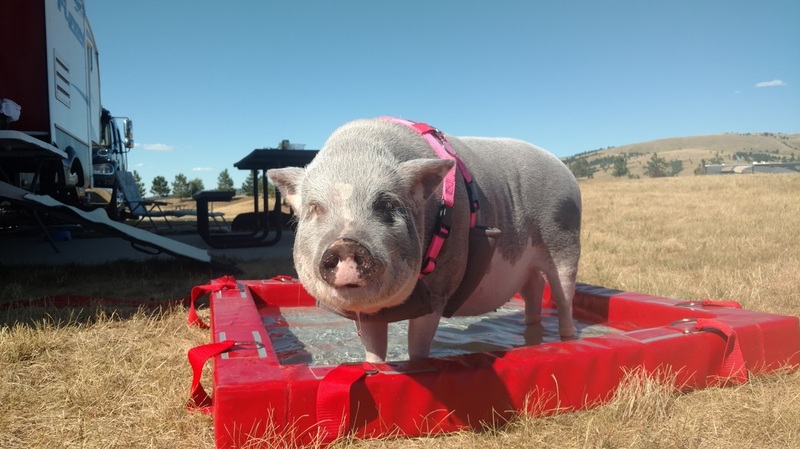 When I went to my first pig rescue, I was a little overwhelmed. I saw all those that had been given up, learned about all those that were saved from research and development laboratories and my mission was clear! The Food Train was born. 100% of the donations will go straight to food to help feed pigs in shelters and those saved from laboratory facilities. ​You can make all difference, act from the heart now, lead by example and help out those that are less fortunate by donating now. YEP!!! We are the Piggy Pool People!!!! Meet "Rosie Toes". 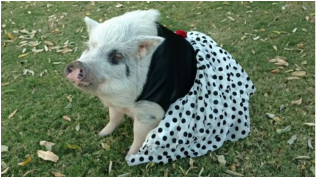 She is one of the hogs your donations help support. She was rescued after living her first year of life in a research facility. She is 670 pounds of gratitude! Her story both broke our hearts and gave us encouragement at the same time. We started doing some of our own R&D to learn that there were a number of rescues that housed such animals! It is these precious souls that we aim to assist! ​See the 5 pigs in our header! Those are Gottingen mini pigs. Google that and you will want to take action too! This is where you can start, Donate, Share and Become More Aware! 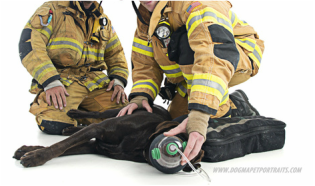 We are a subsidiary of The Emma Zen Foundation to learn more about Pet Safety, please visit us using the Pet Oxygen Masks link below. ​Hog's en Dog's, It's what we do! With your support, we purchase food and other essential, the deliver every thing to the rescues directly. 100% of your funds go straight to the pigs. Donate, Share & Become Aware! I am Baby Banks the Spokespig. I would like to say "Thank You" for all of your support. I have changed the lives of many I met. That is because are loving, intelligent, kind & uniquely individuals. ​Keep in Touch by Following us on our Social Media Sites!